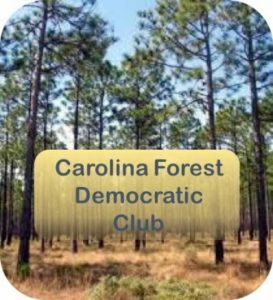 Monthly meeting of Carolina Forest area Democrats. All welcome to help build this new club in Horry County’s fastest-growing neighborhood! The meeting will take place in the upstairs conference room at Kroger-The Plaza at Carolina Forest.